Collaboration - or Why Shouldn't Non-Techies Pursue Tech? The Bauhaus design school that Walter Gropius founded was influential on the development of modern architecture and design. As a fun trivia, in Malay, "Bau Haus" means "burnt smell". The German architect Walter Gropius is popularly known as the founder of the Bauhaus design academy. Born in 1883, he was the son of an architect, and, following in his father's footsteps, embarked on a career in architecture, which was briefly interrupted by a stint in the army during the First World War. The thing about Walter, or Gropius (depending on how you prefer to call him), was that he was not good at drawing. Normally, that would have been devastating for any aspiring architect. But both his father (Walter Adolph Gropius) and his grand-uncle (Martin Gropius) had been architects, so he must have felt obliged to be an architect. But he found a way by collaborating with others. He depended on others to draw for him throughout his life. While studying architecture, he obtained the services of an assistant to help him complete his work. This does not mean that Gropius was lousy as an architect. On the contrary, his works show that he was a visionary. It was only in the drawing department that he lacked the necessary skill, which he made up for through collaboration with others. The late Steve Jobs collaborated with Steve Wozniak to create the iconic Apple II, which formed the impetus for the formation of Apple Computers. The late Steve Jobs was hailed as a visionary. He was a founder of Apple Computers alongside the tech prodigy, Steve Wozniak. 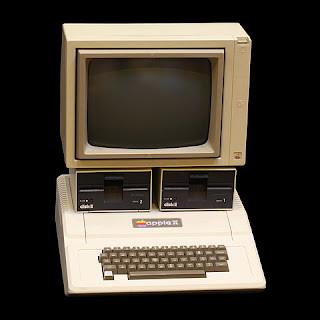 The collaboration between the two Steves produced the Apple II, which was a huge commercial success and launched Apple as a serious contender in the computer industry. But it would be a mistake to assume that their first collaboration began at the Apple II. Steve Wozniak's Apple I was a precursor to their collaboration, which began with the two Steves raising funds. Steve Jobs sold his VW Microbus and Steve Wozniak sold his HP-65 calculator. In innovation, a lack of technical skill should not be a hindrance. What is needed is the vision to see the possibilities. Of course, this is not to say that no skill is required: Some skill is required to understand the underlying technology concerned. It has been said that sometimes, outsiders are able to see the possibilities much more clearly. This may be true in the case of technologies which have very little innovation. An outsider can look at it with "fresh eyes" and ask, why aren't things done in a certain way? Remember, innovation begins when people ask, "Why not?" Never be afraid to pursue the possibility that technology can evolve in a new way. For the non-techie, your collaboration with the technologists can happen in several ways. First, you can vocalize your vision for the technology, which perhaps, none of the technopreneurs have done. It might be a novel conceptualization, and you may attract collaborators. Second, you can help seek out funding for the vision that you have, by seeking partner organizations or interested sponsors. Some of them may have vested interests, but perhaps that isn't a huge concern as long as they allow you to retain the fruits of your labour. Venture capitalists only want to see returns. Third, you can seek out those fluent in the technology, who don't seem to be getting the funding they need for research and development. If you bring the money, you can sell the idea to them. Academics need to do research anyway, and their thesis needs to propose a new hypothesis or two. So sell your idea to them, and see if they think that it's worth their time. Fourth, just get to know the techies, and see what happens. Share with them your vision and what you want to do. But be prepared to contribute whatever you can to make things happen. Steve Jobs had to sell that VW Microbus in order to help push the Apple I forward. It was a risk which paid off. For the uninitiated, the clueless, and the non-Malaysians, the Rukunegara is often described as the "ideology" of Malaysia. These days, the Rukunegara does not seem to be valued by Malaysian society. But it's part of the Malaysian ideology. On 10th May, 1969, there were general elections in Malaysia, following which on 13th May 1969, there erupted racial riots which led to many deaths. Malaysia was torn due to racial riots, and trust between communities was eroded. In the aftermath, a document called "Rukunegara" was promulgated by the government of the day. The Rukunegara as usually found at the back of exercise books in Malaysia. Sadly, the first half is missing. ("Cita-cita tersebut") How can you deliver a message without the proper context? building a progressive society that will make use of science and modern technology. You will notice that the Rukunegara has two portions. The first half of the Rukunegara details what ambitions the nation has. The second half details how the nation will achieve these ambitions. In business school talk, the ambitions are the vision; while the "how" are the mission. We often emphasize the mission but forget the vision. 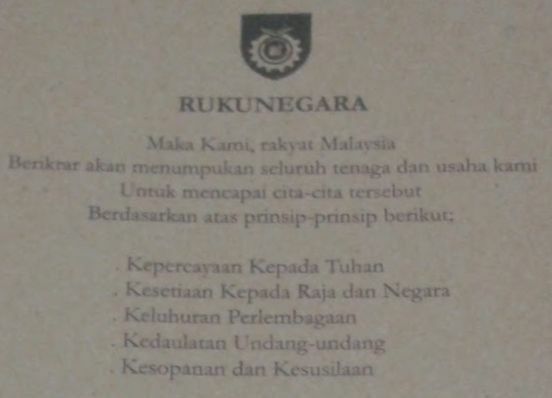 In Malaysian schools, we are taught to recite the second half of the Rukunegara, but never the first. And so, the Rukunegara supports and hopes to build a progressive society that will make use of science and modern technology. Does this mean establishing a strong intellectual property rights regime? Yes, it does. Probably. But it also means that we must inculcate a culture of science and technology. Younger Malaysians need to look at science and technology as the first choice of tertiary education. Only then, can we become a producer of new technology. Only then can we lead technological progress. Because technology will be important in the world of tomorrow, we must start emphasizing it today. As you may notice, the Rukunegara envisions the building of a progressive society. It's not just about technology and science. A society that uses science and technology to spread hatred over social media isn't progressive. A society that uses science and technology to create weapons of mass destruction isn't progressive. A society that uses science and technology to kill the innocent en masse, isn't at all progressive. But a progressive nation isn't one that abstains from science and technology. There is no need to be an Asian Neo-Luddite. It's our hearts that we must nurture, so that we make it a better world for all people, regardless of who they are. Your neighbour is as entitled as you to partake in the better world that you are building, together. Could you envision a world with cleaner air and clearer skies, only for you but not your neighbour? I rest my case. In this regard, the African concept of "ubuntu" has been touted as "love for all". It's a universal value. It would be fair to say that nobody gets to heaven by putting others through hell. Those who cry with the delight at the thought of slaughtering his neighbour because of a different faith or creed are not progressive. I'm not sure if they are even regressive. They are harmful to society, by trying to recreate a vision of a society in which only people from one faith can prosper. In the event that they do create that society, the same people will spawn a generation which discriminates among people of the same faith, thus starting a never-ending cycle of trying to show how much more puritanical they are than the last generation. As you can see, it involves, very much, the happiness of other communities, whether "they" are different in terms of race and religion, wealth and social standing, political ideals, cultural heritage, and others. When I read "guaranteeing a liberal approach", and juxtapose it against the idea of a progressive society, I believe that a progressive society is one that becomes more and more accepting of others. For a document that was forged in the aftermath of a terrible racial riot, and in the early, formative years of this nation's history, the Rukunegara should figure as one of the most important documents for Malaysian policy makers and law makers. Unfortunately, it does not seem to enjoy any position of importance -- just see the considerations of government policy makers for these past few years. Support the Rukunegara, and let's make Malaysia a progressive nation based on science and technology. You might have been sitting around with a bunch of friends over dinner. One of your friends points at the chicken and says, "Why don't we just register a brand of chicken called The Good Chicken?" And the bunch of friends laughs and applauds the idea. Your friend goes home, sobers up, and starts to think about The Good Chicken. It's such a great idea. He wonders why nobody ever registered "The Good Chicken" before. Surely it deserves to be registered and made the basis of a great marketing campaign! He closes his eyes and he can see it: Lines of people just queueing up outside of his chicken restaurant, just to get a taste of The Good Chicken. The daily special? Damn Good Chicken. The weekend special? Superbly Good Chicky Chicken. So he hires a trademark agent, who takes a look at the proposed trademark, and smiles somewhat sheepishly. "You sure you want this?" the trademark agent asks. "Why yessirree," goes your friend. "And I'd like fries to go along with it, if possible." The trademark agent smiles sheepishly again and goes off to do his thing. Two months later the trademark agent is back. "Sir", he says rather slowly, "the trademark office has rejected your application because of the laudatory and descriptive nature of your proposed trademark. I'm afraid that you'll need to think of a new trademark or appeal." Your friend is stunned. What! he wonders. The Good Chicken is a good trademark. Why not? Think about it. "The Good Chicken" is your friend's trademark. Does it describe anything? In the English language, the noun comes after the adjective. The last word is the noun. And the noun is "Chicken". So this is a mark that will be used to market..... chickens! That's precisely the problem, because if your friend is allowed to registered "Chicken" for his brand of chicken / poultry, no other chicken / poultry brand can use the word "Chicken". And that would be disastrous for them! So that's why your friend cannot use a descriptive trademark. Another example I once learned was the case of the toothpaste brand that was marketed with a logo depicting -- no surprises here -- trademark being squeezed unto a toothbrush. 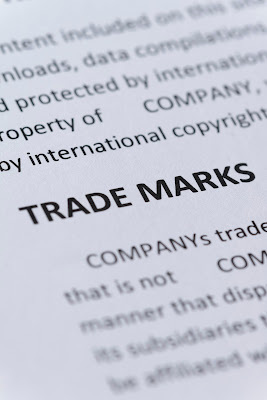 If that trademark application had gone through, others could have been prevented from showing that image on their trade packaging, printed materials, et cetera. It would have been bad for the toothpaste industry. So, by calling his brand the "Good Chicken", his competitors are at a disadvantage. Unless they invalidate his trademark, theirs would be perceived as not "good". Unless, they start using laudatory words like wonderful, fantastic, or superb. And if that happens, it will be a war of self-laudatory words. Each describing his own or her own as the best. 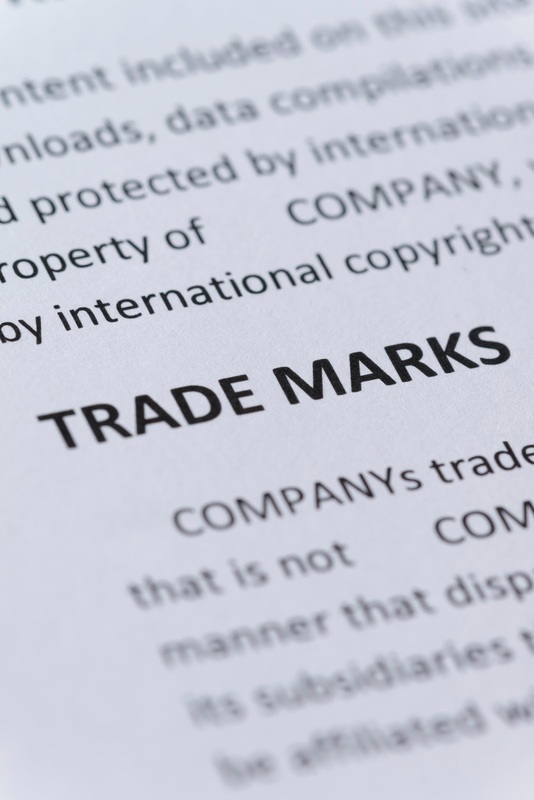 Fortunately, the law does not allow self-laudatory trademarks to be registered. Recently, I tuned in to the 99% Invisible podcast on Tunein. 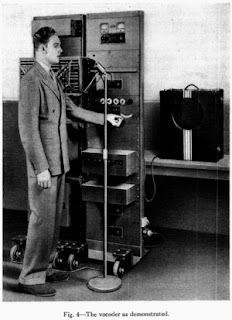 That's when I heard their very fascinating episode, Vox Ex Machina (Episode 208), which was about an invention from 1939 called the "voder", called the "voice operating demonstrator". It was like a piano for voices, because it was a keyboard which people could play with ten fingers. But as the podcasters noted, voder operators would train up to one year in order to learn how to operate the voder. The inventor was a guy called Homer Dudley, who specialized in speech science. He worked at Bell Labs. So, as the podcast noted, there was a war, called the Second World War. It was quite serious -- my grandparents lived through it. I heard many horror stories about the Japanese soldiers in Malaya. But at that time, the focus was on encrypted communications between the British Prime Minister and the American President. Encryption technology at the time was easily broken. That's when the President's office contacted Bell Labs for a solution. Homer Dudley was called up. Fortunately Homer had a solution. He had been working on speech technology for many years. That's when he created SIGSALY, the "unbreakable speech encrypter". SIGSALY used what is today known as a "vocoder", which stands for "voice encoder". It was a very fascinating listen. Go, listen to the 99% Invisible podcast today. This one I found from the Wikipedia entry on SIGSALY. US Patent No. 3967067 was filed on 24th September 1941, and was published on 29th June 1976. You might know that the lifespan of a patent is about 20 years.... so, its publication was probably more a matter of recognition, than exploitation of IP for profit. Which inventor doesn't want to be identified with their invention? Most of them want recognition. Even if it's 35 years after the patent was filed. Man, I really hope that the inventor for US patent no. 3967067 made some money off his invention, somehow. Production of artificial speech - Patent No. US 2243526 A - Filed 16th March 1940, published 27th May 1941. "The present invention relates to the artificial production of speech or similar sound waves and to such artificial production in connection with a system for analyzing speech or similar waves." VOIP, cheap international calls or free Internet-based calls owe their origins to his work on speech compression. I tend to call my family a lot using Viber / Line / Whatsapp whenever I go for holiday, just because I can. Text-to-speech (TTS) technology also owes a lot to his work on text synthesis / artificial voice production. I tend to share webpages to "Voice Reading" on my Android phone. I then listen to the webpages being read aloud, while I do whatever I am doing. Vocoders are being used today by musicians to distort their voices. I love music, and that guy made these robot-like voices possible. So go, listen to that podcast already. Link is at the top of this blog post.